I spent a few hours in SketchUp last night working out how to detail the Hebel so that it interfaces with the roof structure in a way which is compliant with the BAL-FZ requirements. However, we have no eaves or fascias in our design, with the guttering being directly affixed to the steel roof sheets. So with that in mind I've adapted the design to suit our use of Hebel, retaining the ember-proofing elements of the approved system. 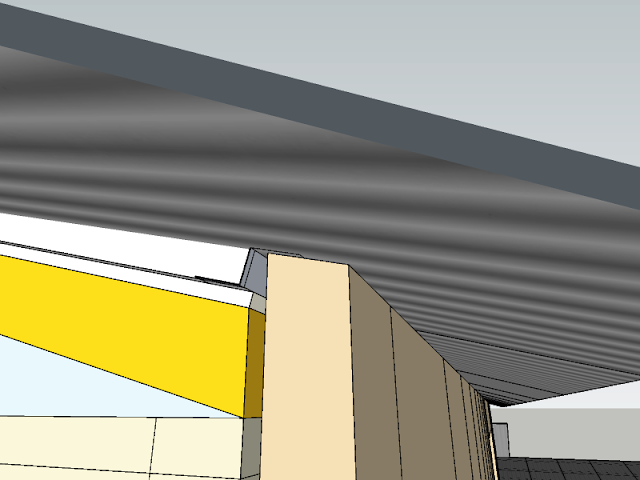 It turns out that the Hebel wall panels make the roof interface detail quite a bit simpler than if constructed using eaves as shown above. 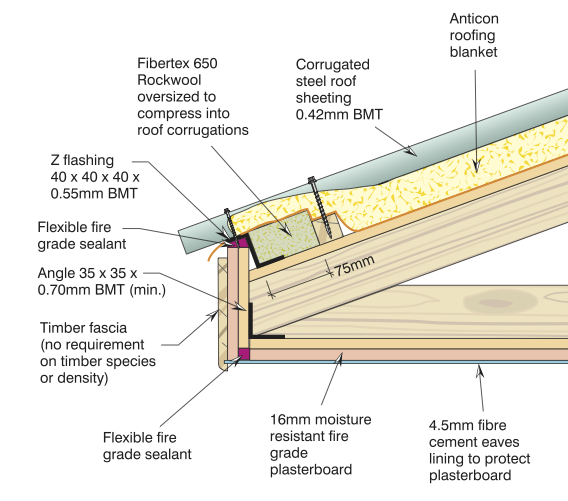 All I really need to do is ensure that embers cannot enter the wall cavity, which I achieve using 50x40x50mm Z-flashing, fitted to the plywood roof membrane and sealed to the top of the Hebel, which is cut to match the roof's 15º pitch. 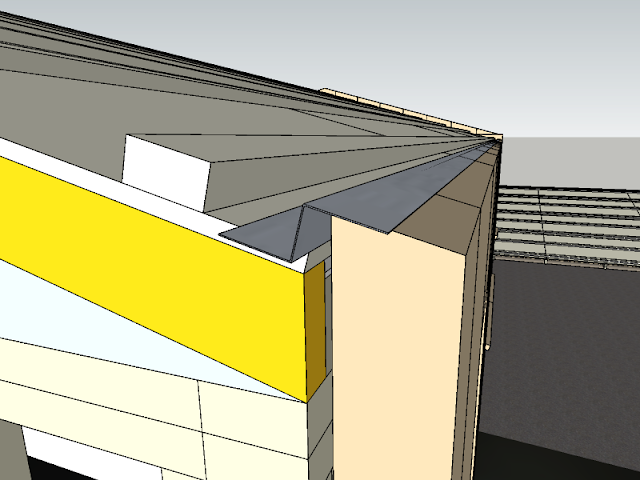 On top of this I'll install the Anticon roofing blanket as per the above design, and fill the void between the flashing and the first batten with Rockwool. All of this insulation will be compressed to roughly half its natural thickness by the tin roofing sheets, in doing so filling the ridges and troughs in the tin, completing the ember barrier.